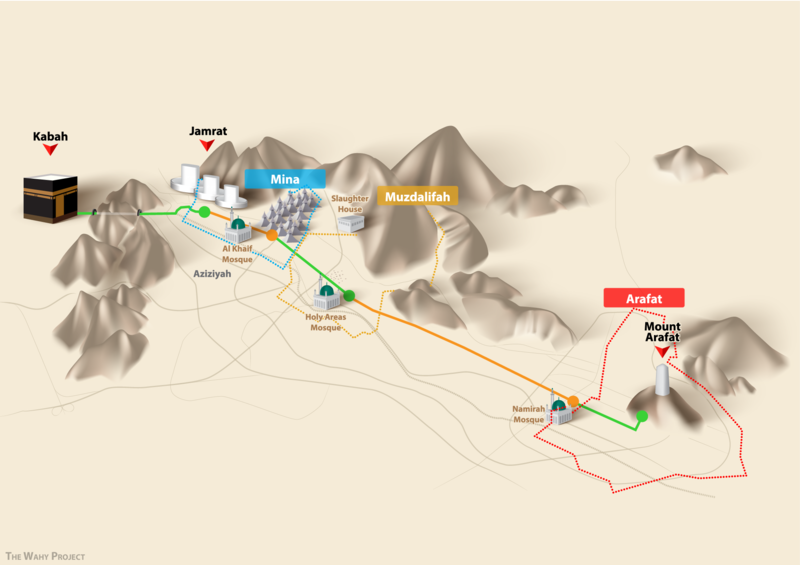 Further to my previous post which summarizes where Hajj takes place and the locations involved, I wanted to share with everyone a special map of these Hajj locations – including main features, distances & geographic coordinates (mashAllah). 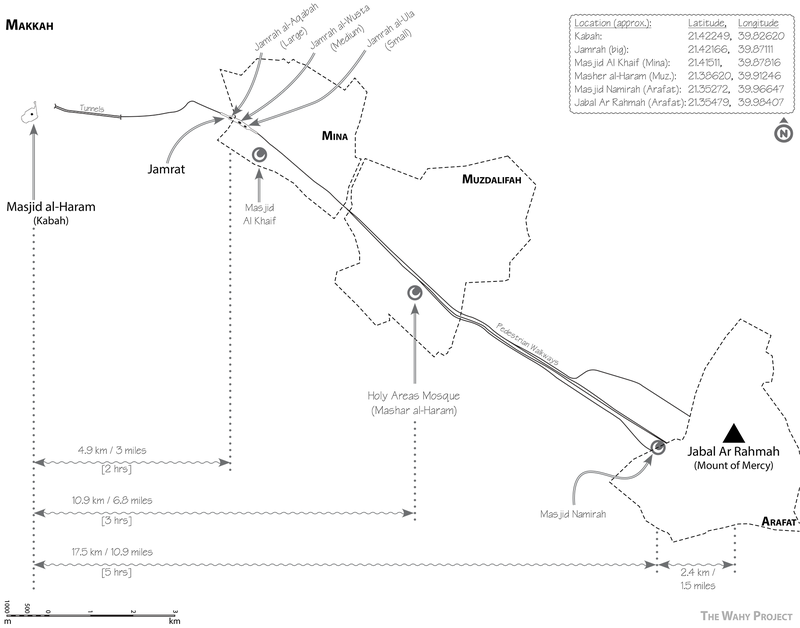 “Makkah Al Mukarramah and Mashaer Area” map – Second Edition. General Commission for Survey – Kingdom of Saudi Arabia, 2012. Hajj takes place in the Kingdom of Saudi Arabia. More specifically in the Makkah region. The air is still, the crowd calm, the anticipation palatable. As we sit, enjoy and savor our time in Masjid Al-Haram, our ears suddenly fill with the sweet sounds ofAdhan (call to prayer) – echoing & reverberating throughout Makkah. It is such an amazing feeling and experience that words cannot do it justice – SubhaanAllaah. But as a special treat … I finally had a chance to upload some of my Adhan (& Iqama) recordings from Makkah and Madinah to share with you. Actually a while back I tried searching for Adhan audio files online and found it quite difficult. Alhamdulillah I was able to record these (with a small voice recorder) last year (2010 / 1431) in Makkah and Madinah in the month of Dhul Hijjah.